Addis Ababa, Ethiopia – The Ethiopian Airlines is undertaking a study to open four new routes to Asian countries: South Korea, Singapore, Malaysia and more destinations in China. Ethiopian CEO Tewolde Gebremariam told The Reporter that the national flag carrier wants to strengthen its Asian market by opening new routes to the stated countries. Ethiopian has seven destinations in Asia. Ethiopian flies to three cities in China – Beijing, Guangzhou, and Hangzhou. It also flies to Bangkok, Hong Kong, Mumbai, and Delhi. “We are undertaking market studies on Seoul, Kuala Lumpur, Singapore and more destinations in China,” Tewolde said. Ethiopian is also planning to open new routes to the US in addition to Washington DC. Ethiopian is preparing to launch a new flight to Toronto this year. 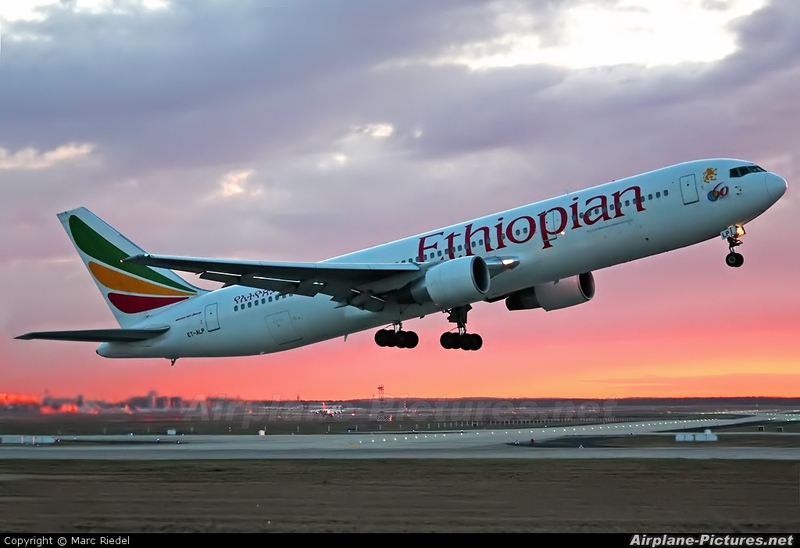 The Canadian Civil Aviation Authority has already given the green light to Ethiopian. The airline hopes to launch the flight to Toronto, where is a large Ethiopian community. Ethiopian will deploy new jetliners – hopefully the Dreamliners – on the new routes. Ethiopian, which was established in 1945, serves 62 international and 17 domestic destinations. The airline, which prides itself on being “The New Spirit of Africa” serves 40 destinations in Africa, the largest number of destinations served by a single airline. Ethiopian currently flies only to Cairo in North Africa. A senior executive of the airline told The Reporter that currently the airline is eyeing the north African market – Libya, Tunisia, Algeria and Morocco. However, the executive declined to mention the exact destinations (cities) that the airline wants to serve in North Africa. Ethiopian Airlines is looking at Asia for future network expansion now that the airline has officially joined Star Alliance. “We are considering Singapore, Kuala Lumpur and Guangzhou as additional destinations,” Ethiopian CEO Tewolde Gebremariam said on the sidelines of the official joining ceremony in Addis Ababa, Ethiopia.Ethiopian, which was invited to join the alliance in late 2010, became the 28th Star member and was sponsored by Lufthansa through the process. It is also the third African airline to become part of Star after South African Airways and Egyptair. “We have taken a large step forward in completing our Africa strategy,” says Jaan Albrecht, the departing alliance CEO. Ethiopian fills a network gap in the middle of the continent that neither Egyptair nor SAA can fill on its own. The airline is one of a small group of African carriers that is growing its long-haul network in spite of the massive expansion of European and Middle Eastern carriers in the region. Its largest regional competitor is Kenya Airways.Ethiopian’s long-haul growth plans are centered on its order for 10 Boeing 787-8s, the first of which is now due to arrive in mid-2012, three years later than planned. 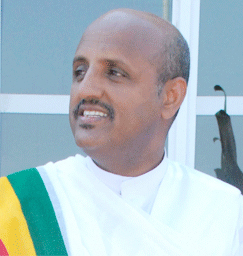 “The delay was very painful for Ethiopian, but it was worth waiting for,” Tewolde says. Another growth project is running into delays as well. Last year, Ethiopian, Egyptair and SAA announced plans to set up one or more joint-venture airlines to be able to better cover Western Africa. Ethiopian has already set up ASKY, a joint venture with local investors in Togo that was planned to be used as the basis for an expanded effort. ASKY currently operates three Boeing 737-700s and one Bombardier Q400. While the plan to bring Egyptair and SAA in as additional investors and grow ASKY “is still active,” according to Tewolde, it seems to be very much on the back burner right now. The Ethiopian CEO concedes that in order to grow ASKY they would have to add bases in other West African countries, but it has not yet reached the stage where any particular site has been considered. “We need more time for that,” Tewolde says. Given the Egyptian revolution earlier this year, Egyptair is still very much focused on getting load factors and traffic up to previous levels and building connecting markets through Cairo in order to be less dependent on local demand. The airline is also undergoing a leadership change that is making investment decisions more difficult right now. SAA has had several unpleasant experiences in its history when it tried to invest in other African airlines and is taking a slow approach as well. One factor that is making the ASKY expansion more complex is that Lagos, Nigeria, would be the obvious base from an economic point of view, but politics is making such a project a tough proposition. You are currently browsing the TOURIST LIFE TRAVEL & TOUR blog archives for December, 2011.